"The Form Table is made of oak and linoleum, which are high end natural materials that add durability and give the table an exclusive look. The matt linoleum is pleasant to the touch and easy to maintain. The same goes for the lacquered oak legs, which are mounted to the table using the same innovative cup system as the Form Chairs. 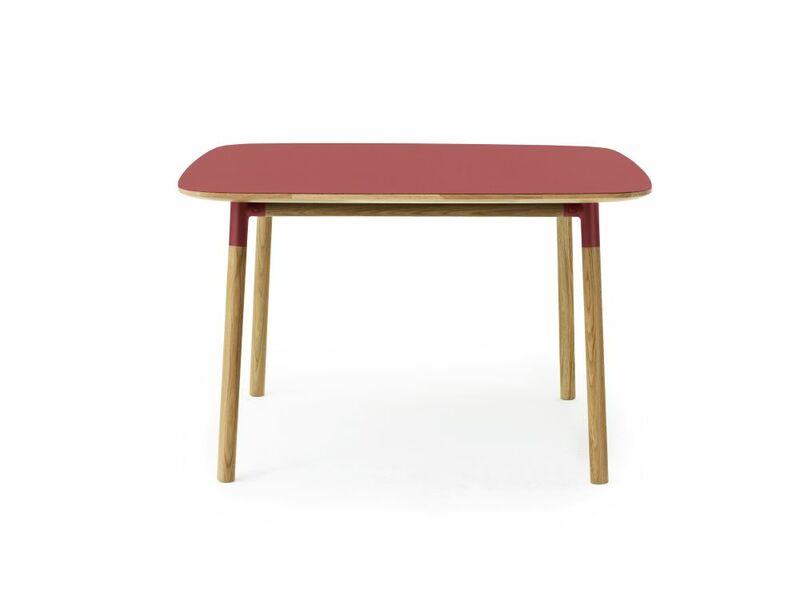 The Form Table is elegant and minimalistic and a clear example of Simon Legaldâ€™s love of uniting innovative production methods with high quality craftsmanship. The square and rectangular versions of Form Table allow ample opportunity to create a classic and unique contemporary decor.